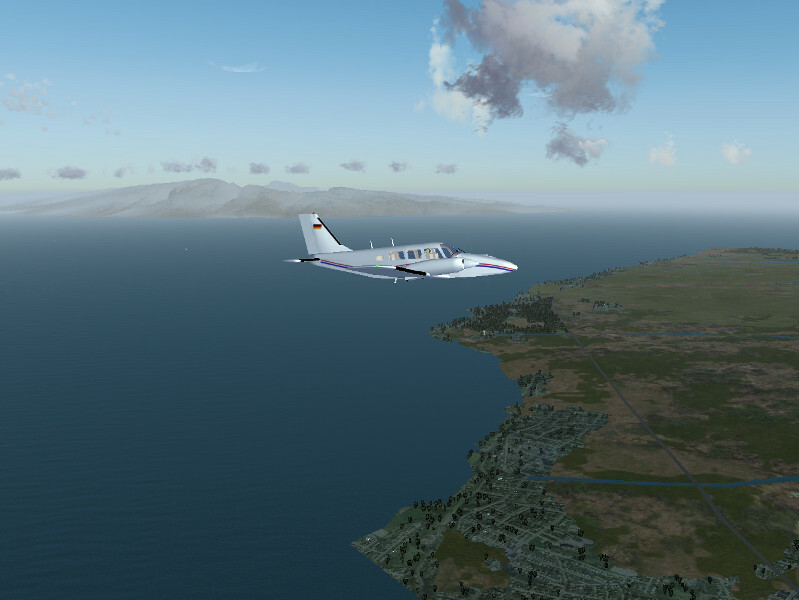 One of the first places available as hires scenery in Flightgear, and also among the first places to receive a dedicated regional texture scheme, the island chain of Hawaii is a very spectacular destination in the Flightgear world. It offers a compelling variety of terrain from dry and barren lava plains to lush tropical rainforest, from the gentle fertile plains to rugged mountains and steep cliffs towering over the sea and from the densely populated island of Oahu to uninhabited Kaho’olawe. Flying Hawaii can be easy or challenging – there are busy international airports and lone airstrips in remote locations, the altitude of the terrain ranges from sea level all the way up to Mauna Kea towering at 13,796 ft and steep gorges cut into the lava cliffs allow for tricky helicopter excursions. 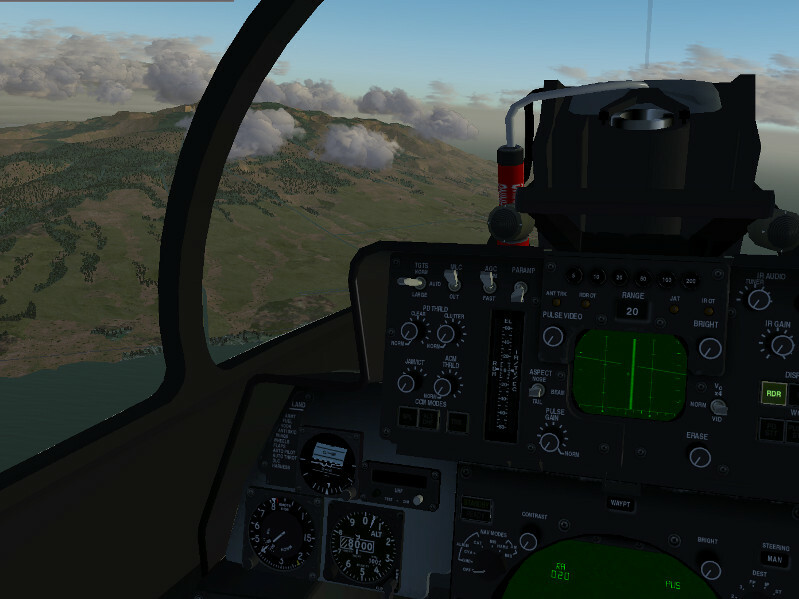 Currently the scenery is only available via TerraSync and not by direct download from the website, presumably this will change with the next release of world scenery. 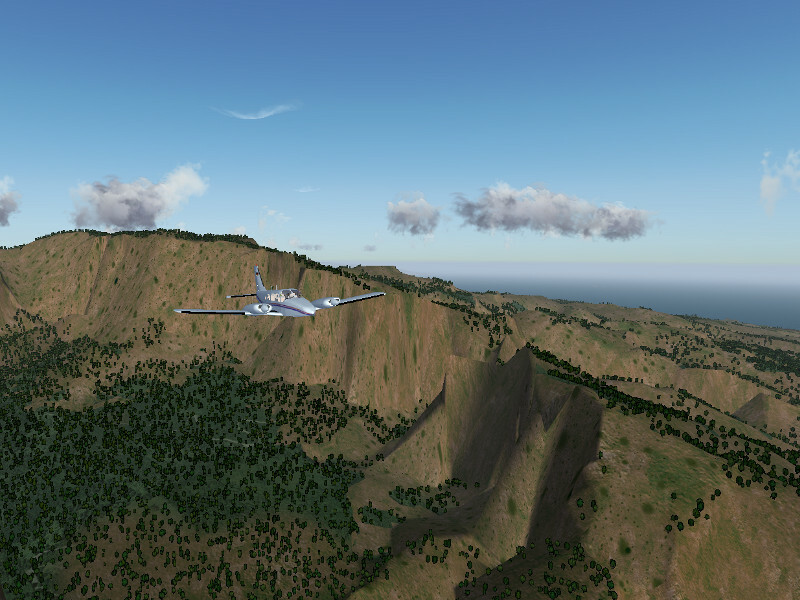 While the release preparations for Flightgear 2.10 are underway, this article provides a first glimpse into some stunning new features which are currently being developed for the 3.0 release in summer 2013 – high resolution terrain texturing for closeup scenes. Aeronautical charts for the whole of Hawaii are available online at skyvector.com, see for instance here for all charts relevant for Honolulu International Airport. With a total area of 4,028 square miles, Hawaii is by far the biggest island of the archipelago, exceeding the size of all other islands taken together. It is also the youngest of all islands, dominated by the gentle rising cones of the five massive shield volcanoes Kohala, Mauna Kea, Hualalai, Mauna Loa and Kilauea, with the last two still being active. The central part of the island is occupied by the twin cones of Mauna Kea (foreground) and Mauna Loa (background) which both reach above 13,000 ft and consists of extended lava fields, while the coastal region is somewhat more fertile. The first destination reached however when arriving from the Honolulu region is Upolu Point, a region of eroded volcanic rock and spectacular gorges. 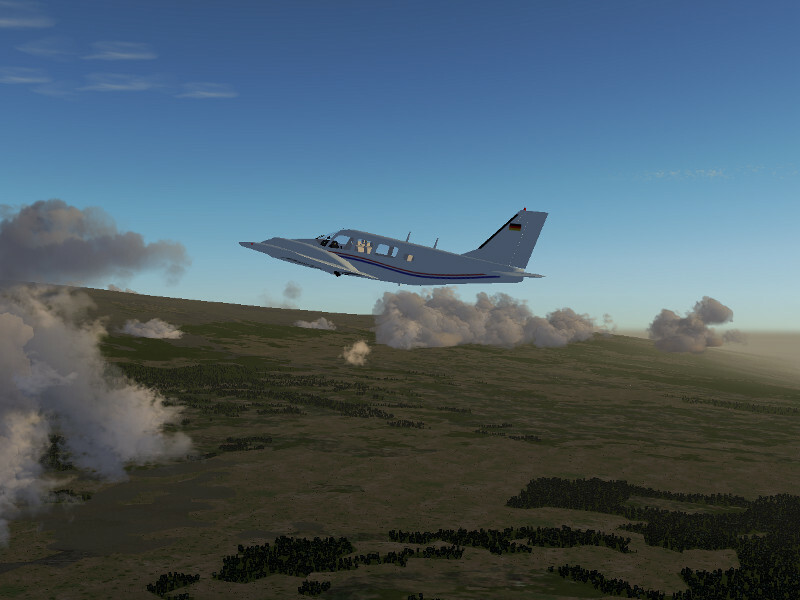 A flight to Hilo, the main city of the island, can pass between the two major shield volcanoes and requires a climb from sea level to more than 7,000 ft, which requires some adjustment of the mixture in a single-engine propeller plane. The climb to the pass is mainly above arid grasslands. At higher altitudes, the spectacular lava fields of Mauna Loa dominate the scene. Here is yet another view on Mauna Kea from the pass – often the volcanoes reach above the cloud layer. Seen from the pass, Hilo seems close, but the slope of the terrain is so gentle that it is very easy to underestimate the true distance. Towards the coast, forests and fertile ground dominate the scene again. Maui is perhaps the island with the most diverse terrain. Its eastern part is dominated by the mighty cone of Haleakala, reaching just above 10,000 ft. The middle part is a fertile valley, whereas the western part features the rugged West Maui Mountains, which are considerably lower than Haleakala, but certainly make up for that with steep cliffs and deeply cut valleys. 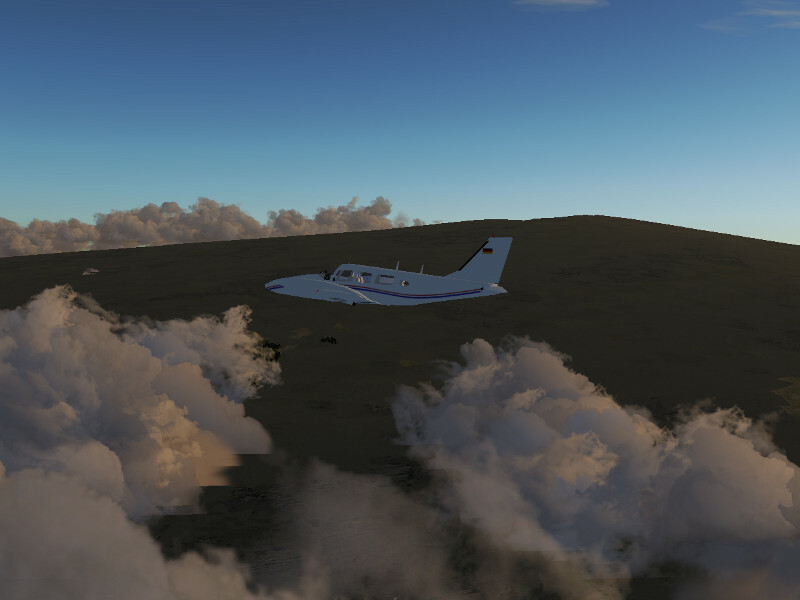 Since the prevailing winds come from the northern side, air rises on the flanks of Haleakala, leading to fertile and overgrown northern slopes, whereas the southern slopes of Haleakala look completely different and show rather different weather. 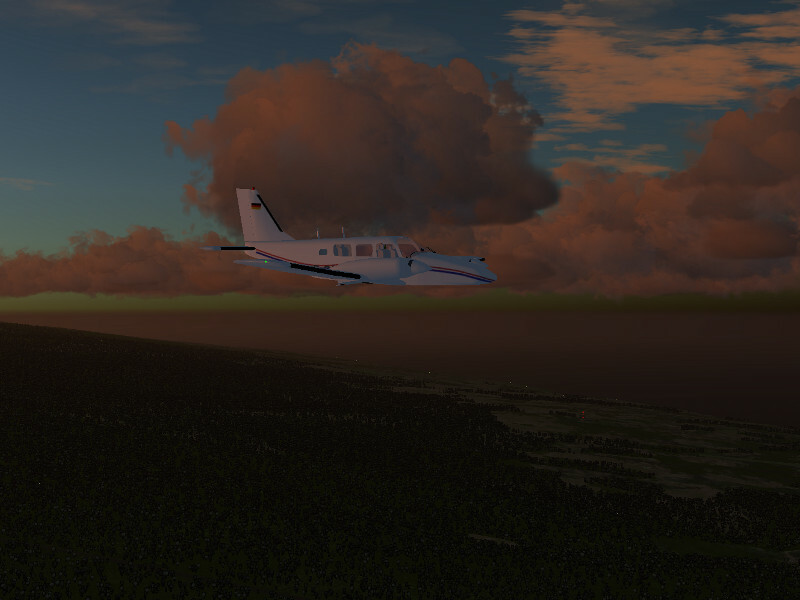 Flightgear’s Advanced Weather is actually capable of simulating the resulting distribution of clouds from this effect – in fact, Haleakala has been an inportant test case in the development of the weather system. Closely grouped in the vicinity of Maui are also the islands Lanai, Molokai and Kaho’olawe, easy to see in clear weather, thus Maui is an ideal starting point for island-hopping adventures. Approaching from east, the scenery is dominated by Haleakala, here the more arid southern slopes are seen. Maui is substantially older than Hawaii island, and so the volcano has started to erode quite significantly when compared to Mauna Loa – as a result, the fertile land extends much higher up. Haleakala crater however remains a rather impressive sight. When approaching from the west, the cliffs and gorges of the West Maui Mountains are the first feature to become apparent. 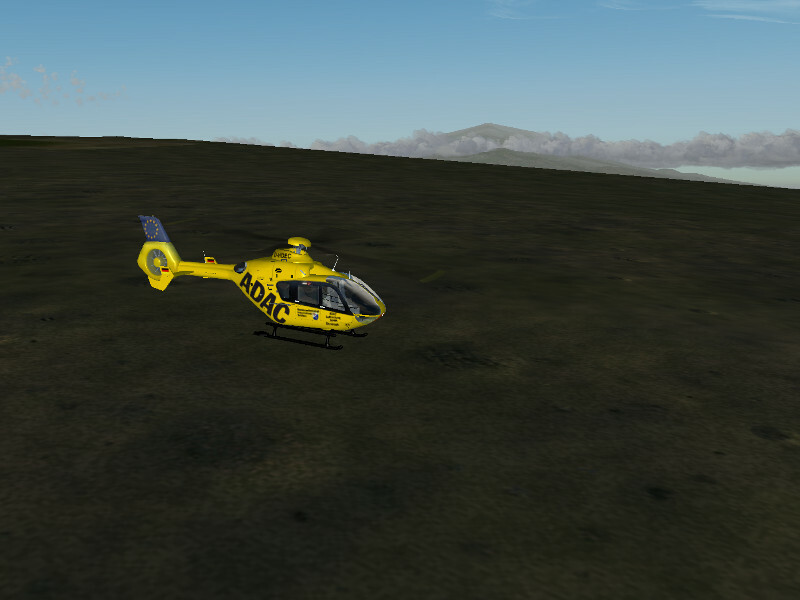 The West Maui Mountains themselves contain quite some impressive sights – it is especially worthwhile to explore the various canyons and cliffs with a helicopter. Going west, the geological age of the island chain increases, and thus terrain features become more gentle as the volcanic rock erodes and changes into fertile soil. The island of Oahu is where the majority of the Hawaiian population lives and where the capital Honolulu is located. 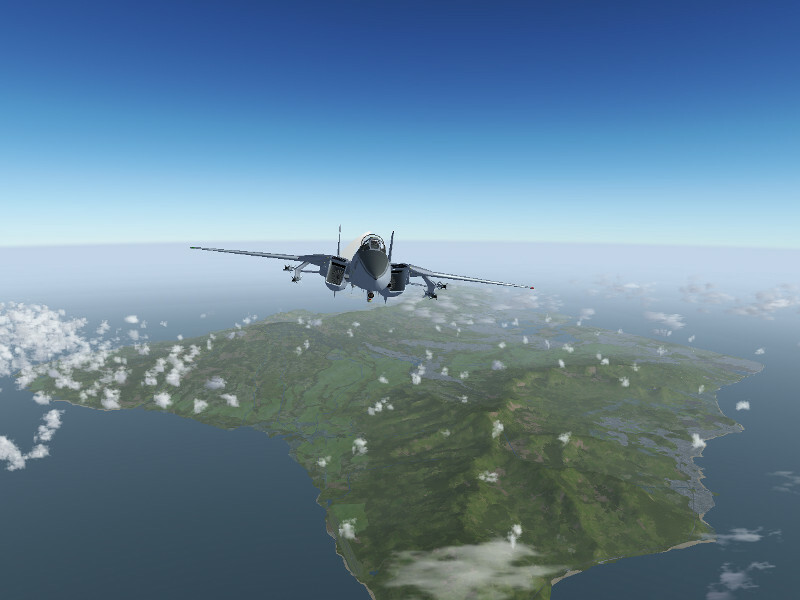 This is also where Honolulu International Airport, the most busy of all Hawaiian airports is found, and the home of famous sights as Pearl Harbour. Honolulu was envisioned as an emergency landing site for the space shuttle, and in fact the ‘reef runway’ (shared, as the rest of the airfield, with Hickam Air Force Base) used to be designated for this purpose. Oahu stretches between two mountain ridges, which rise up to an elevation of just over 4000 ft. Here is a view of the island from the west. Central Oahu is flat and largely in agricultural use. 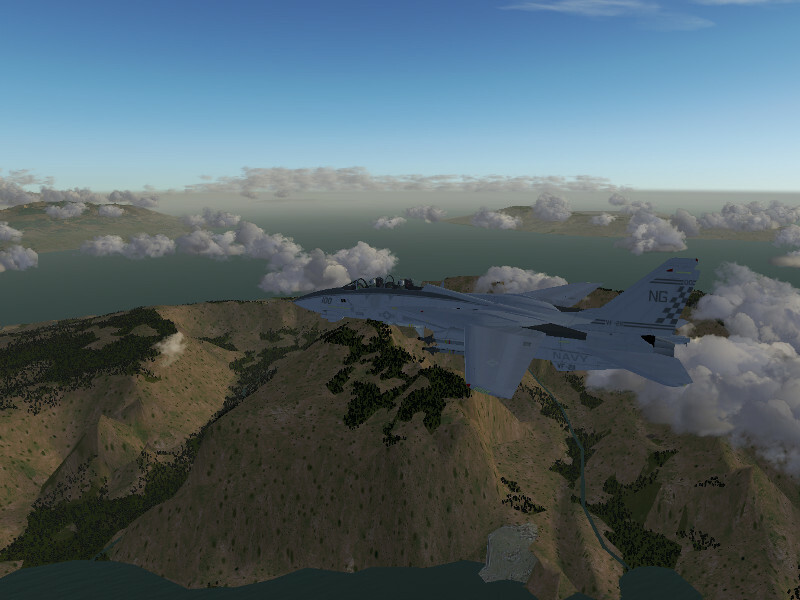 In the background, Honolulu and Pearl Harbour can be seen. One of the most scenic spots on the island is Kailua beach on the north-eastern coast, offering a spectacular constrast of steep cliffs, long beaches and lush tropical vegetation. The hires ground texturing scheme for Oahu has been carefully designed to display the contrast between lush vegetation and the red volcanic soil. 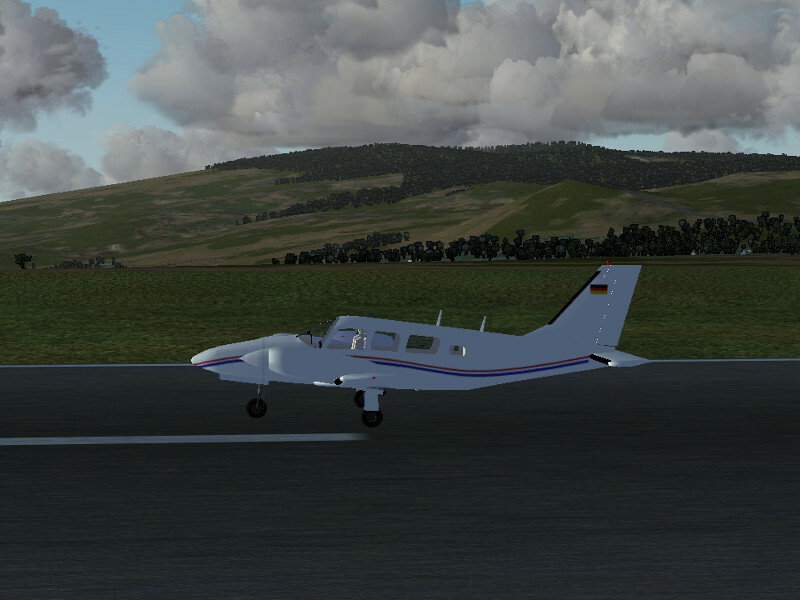 Lanai is a fairly arid and sparsely populated island south-west of Maui with a single airport. It is dominated by a single mountain ridge reaching just above 3000 ft, with some valleys carved by erosion. Molokai is, like Maui, a fairly diverse island – its eastern part consists of steep and towering cliffs whereas its western part is mostly flat and gentle landscape. 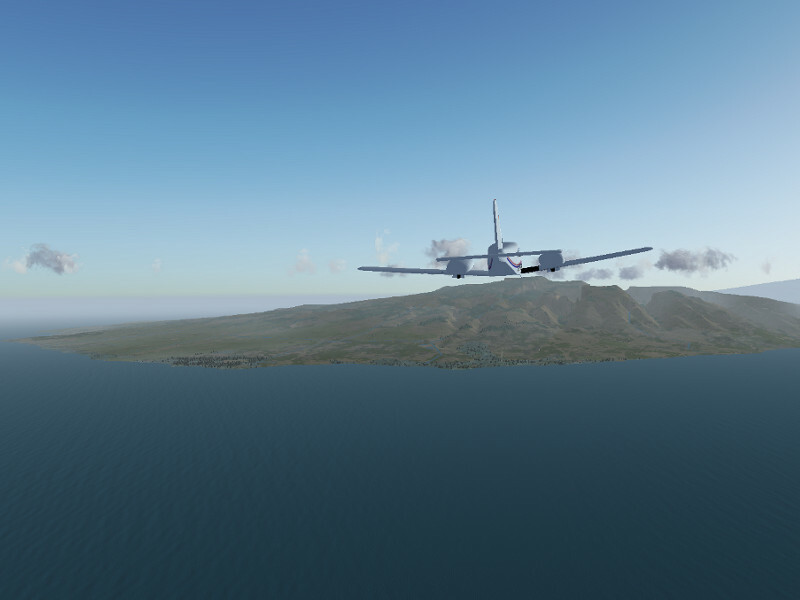 Kalaupapa airport (PHLU) is built on a peninsula just beneath the cliff faces. Kaho’Olawe is a small, uninhabited island. It has no airport and can only be reached by helicopter. Its surface is mostly composed of arid stretches and lava fields. Kauai, the garden island, is one of the nicest bits of scenery in the Hawaiian islands. It features the spectacular Na’Pali coast and Waimea Canyon. 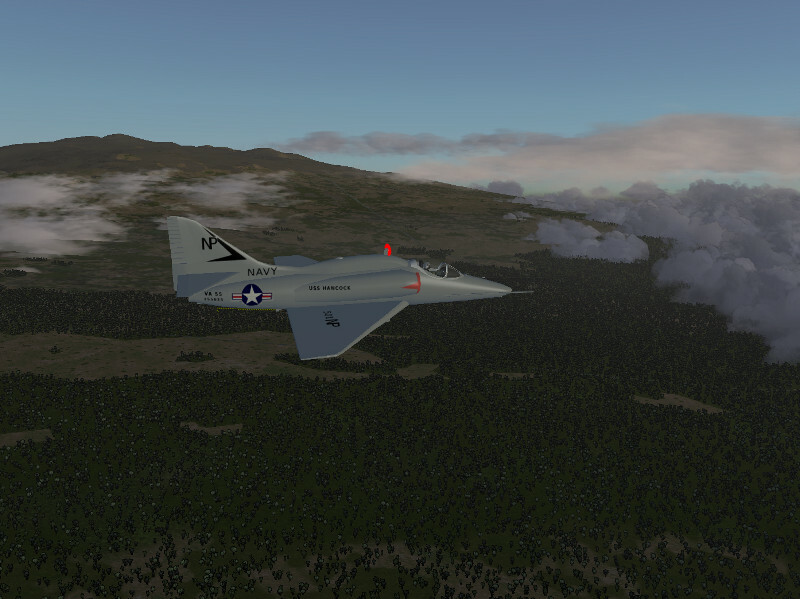 Sadly, the scenery in Flightgear is currently a bit of a let-down – the terrain shows some errors in Kauai, and neither the Na’Pali coast nor Waimea come anywhere close to the originals. 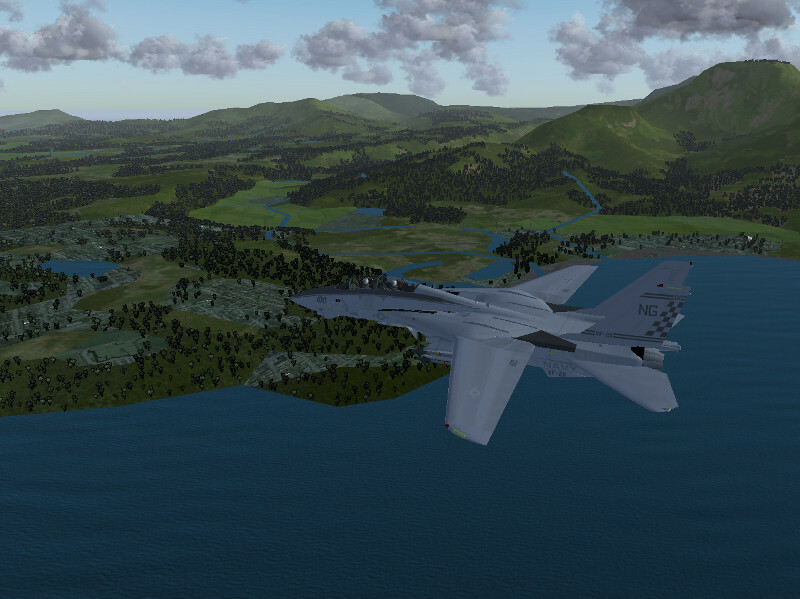 Finally, the island of Niihau is not part of the high resolution scenery package, and thus not really worth visiting. Hilo International Airport (PHTO) is located on the eastern side of Hawaii island at the coast – in a vert scenic location close to the town of Hilo. It is one of the two major airports of the archipelago and with a runway length of 9,800 ft large enough to admit essentially all airplanes. 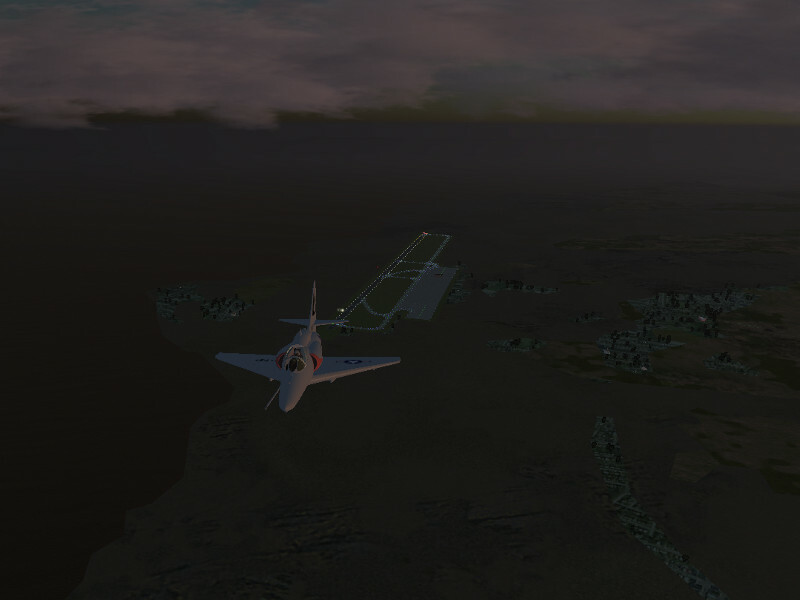 Kona International Airport (PHKO) is located in the lava fields at the western coast of Hawaii island. Three million pounds of dynamite have been used to flatten the lava flow on which it was constructed. 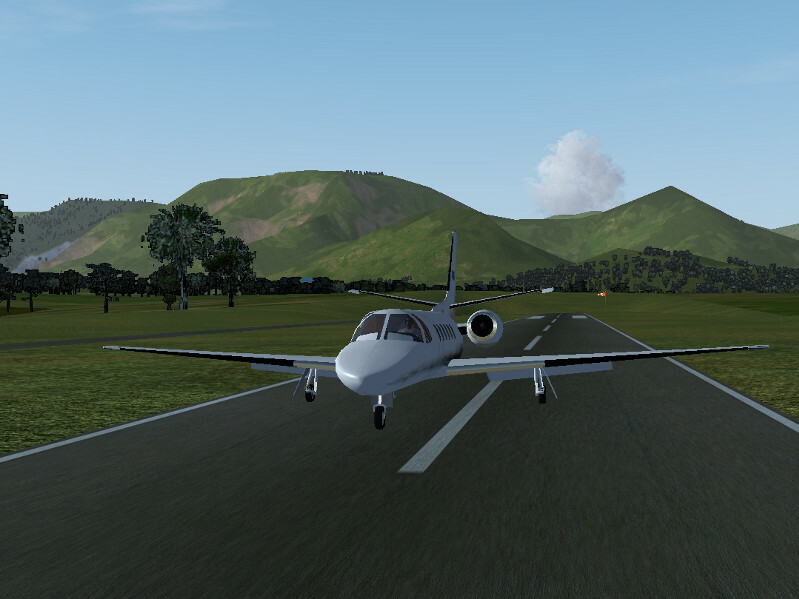 It offers a single 11,000 ft runway which is second in length only to Honolulu International Airport. Waimea-Kohala Airport (PHMU) is a not very busy public airfield at 2,600 ft altitude in the western drylands of Hawaii island. 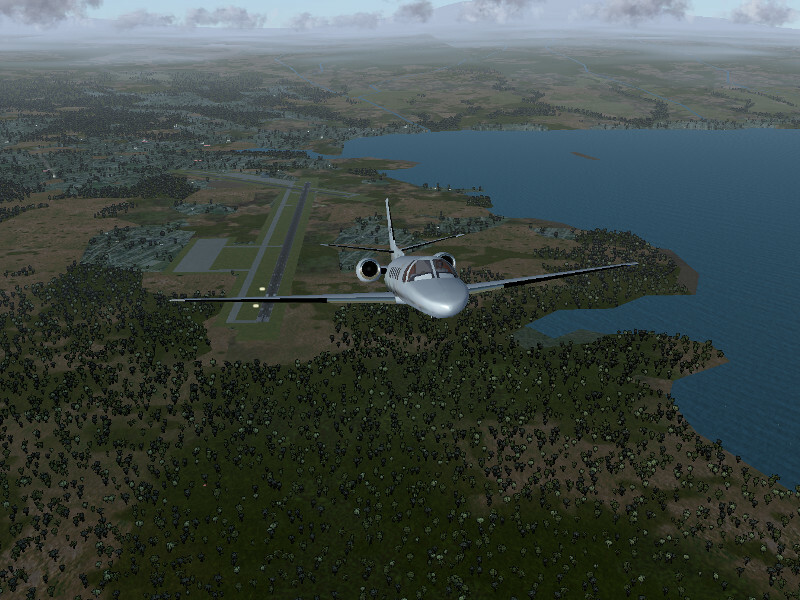 It offers a single 5,197 ft runway. 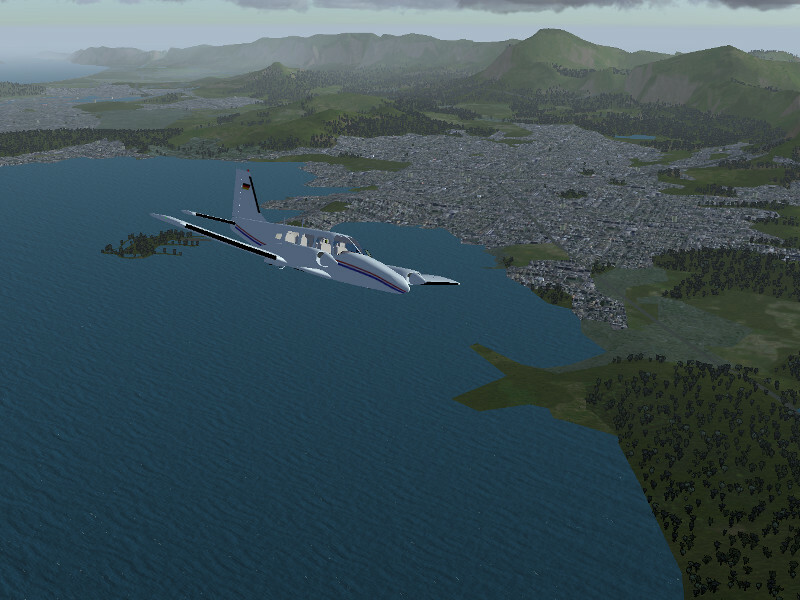 Princeville: (HI01) is a small private airport close to Hanalei on the garden island Kauai. 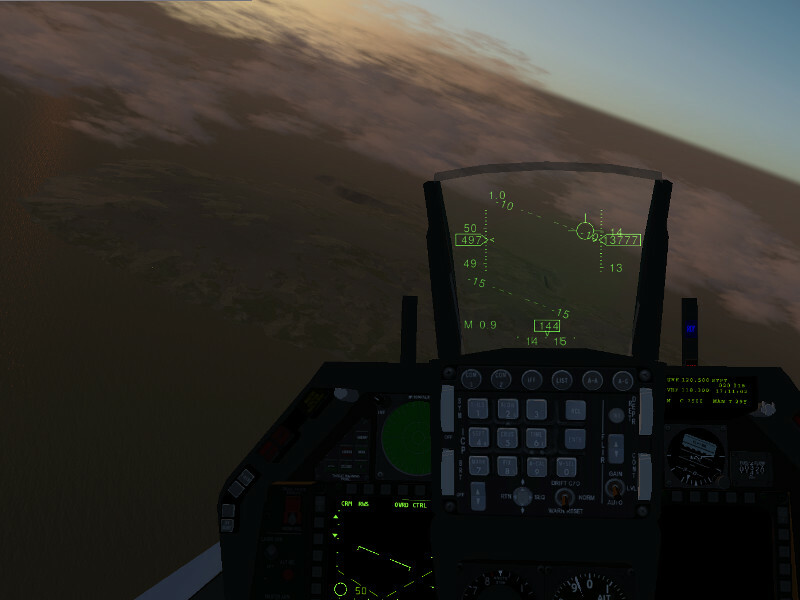 It is only suitable for smaller aircraft. Lihue: (PHLI) is the main airport of Kauai. It has mainly connections to Honolulu, but also some long-distance traffic to the US mainland.